The “Pink City”, Toulouse, has a rich history which is reflected today in its architecture and its monuments classified by UNESCO as its Basilica Saint Sernin or the Canal du Midi which links it to Sète. Another monument worth a visit to the South Pyrenean city: the cassoulet and its sausages, the best selling local dish and cooked dish in France. The Cité de l’Espace will animate the curiosity of young and old, while the nightlife will always attract so many students. Straddling the Garonne and very close to the Pyrenees, the Landes and Mediterranean coasts, Toulouse is well worth a detailled visit. To help you to plan your trips in Toulouse, we listed visits and places of interests to do in Toulouse. Where to stay in Toulouse (appartments, hotels, youth hostels,...) ? 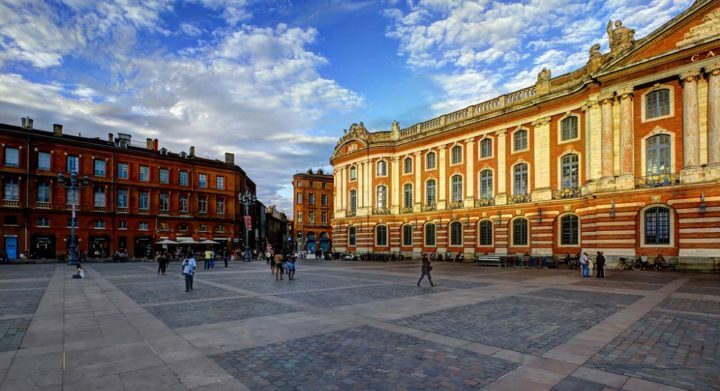 To enjoy your stay in Toulouse, it is necessary to pick the right location to stay. We give you here our best tips to know in which neighborhood to sleep and choose your accomodation accordingly ! Want to see Toulouse as a local ? To discover hidden places and to enjoy your stay away from mass tourism? The fast lane is here !